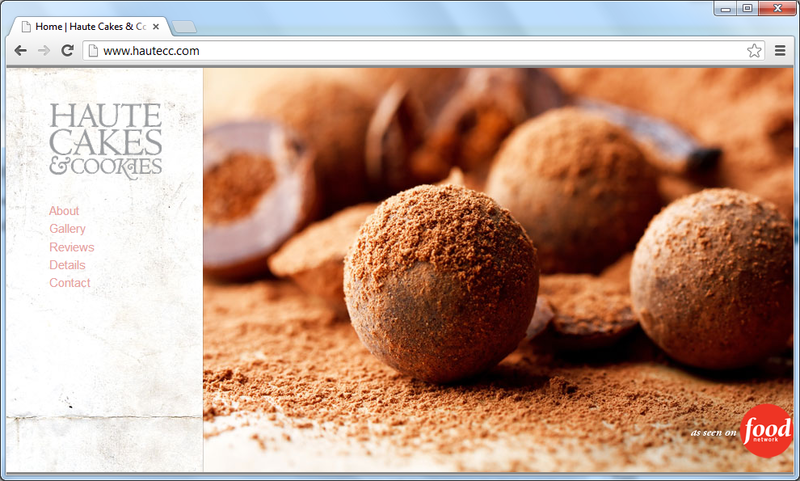 We just completed the website for Haute Cakes and Cookies — online at www.hautecc.com. The goal of the site was to retain simplicity and elegance while still offering ease of use. We went to great lengths to balance the aesthetics with usability and search-engine-friendliness. We used WordPress as a content management system so that the clients would be able to change text or add pages on their site at will, rather than having to channel all content changes through us. This gives them much more flexibility in being able to manage their own site in a user-friendly way. We’re very happy with how the site turned out!